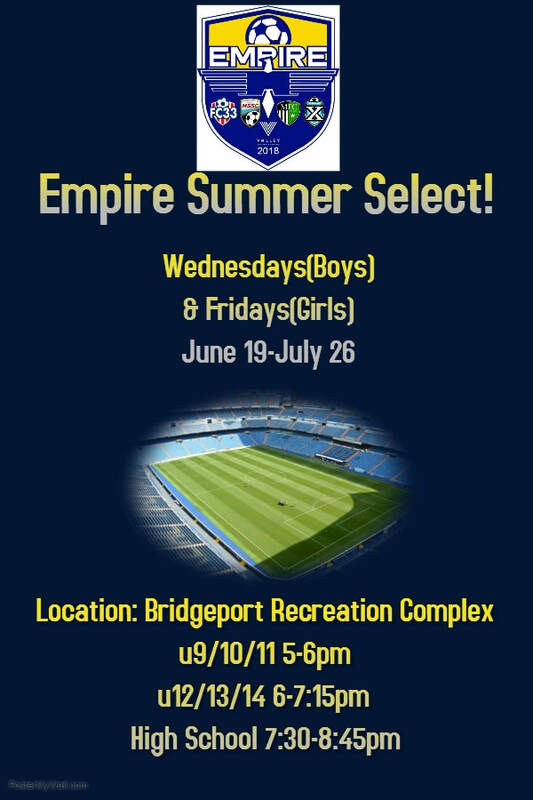 This program is a Summer Travel Program for u10 players to u18 players we will practice once a week for four weeks and attend ONE summer tournament at the end of July. Summary: Our Summer teams will practice once a week and prepare for attendance at a Summer Showcase Tournament in PA. Practice day: Wednedays (Boys teams only), Fridays (Girls teams only) June 18th-July 26th. - Each team will possibly have 1-3 Guest Players per team from outside of MFC.